In August, wholesale and retail trade were responsible for a combined 1,700 jobs added, with wholesale outpacing retail by nearly a two-to-one margin. Wholesale trade has had gains in three of the last four months; alternatively, retail rebounded slightly following a large drop in July and has been generally trending down since last year. 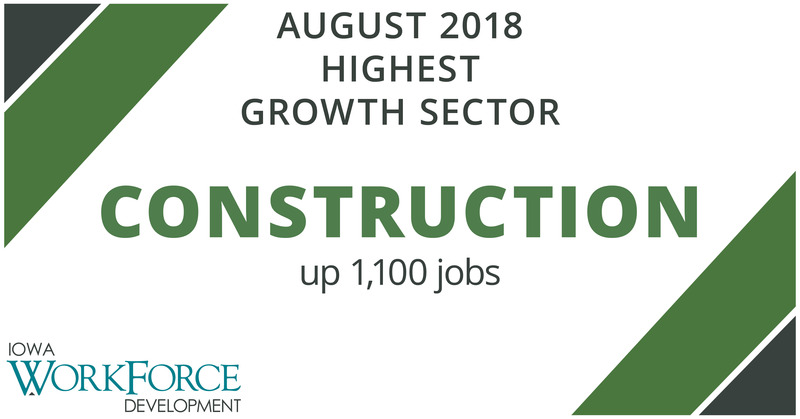 Construction again added jobs in August (+1,100) and has now added jobs in every month since January. 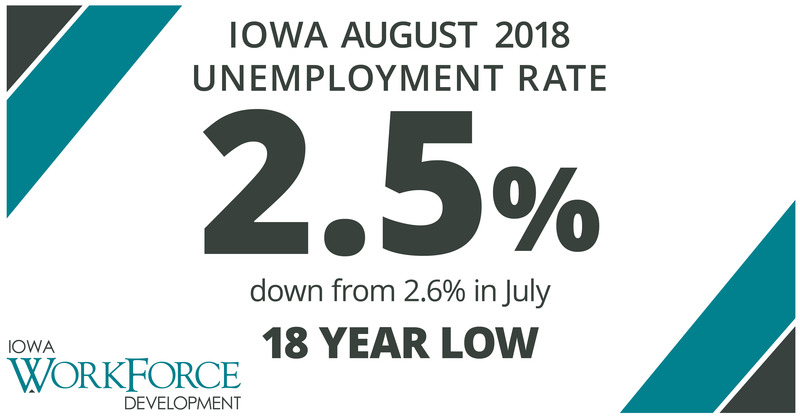 This has been a stark turnaround compared to last year when jobs were added in only two months. Smaller gains this month included education and healthcare services and manufacturing. Losses this month were dominated by leisure and hospitality (-1,100). This super sector pared jobs in virtually all segments, although losses in accommodations and food services slightly outweighed losses in arts and entertainment. All other losses were small in nature and included finance and insurance, other services, and information services. 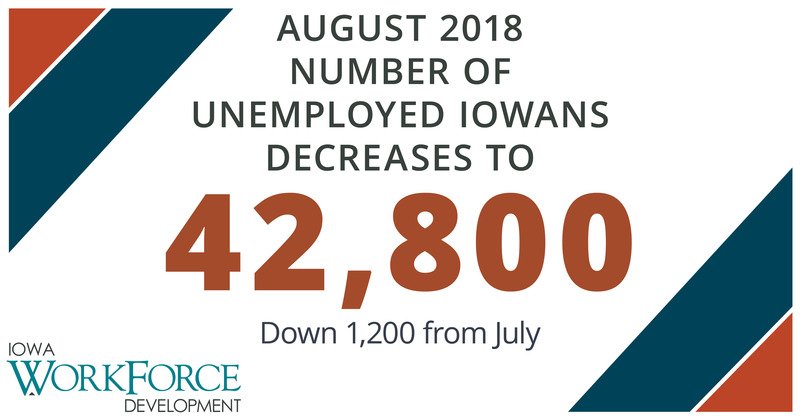 MEDIA ALERT: To access an audio cut of comments about Iowa's labor market situation click here. Local data for August will be posted to the IWD website on Tuesday, September 25, 2018. Statewide data for September 2018 will be released on Friday, October 19, 2018.